So are we really that different? 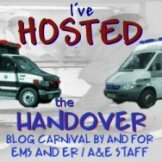 I have decided to finish off my discussion about my shifts on the Ambulance with a general discussion about my thoughts from my two shifts. What was good? What was not so good?? A couple of days ago, you read about my initial thoughts of the SFFD Ambulances. I said at that time, not to judge me for what I thought, and this is the reason why…. As I looked around the vehicle, I saw things that would legally not be allowed in a UK Ambulance. Stock left loose on the bench next to the stretcher, open bins on the floor of the vehicle, bags lying unsecured in open cupboards and a manually lifted stretcher. In the UK, our ambulance designs are now becoming a standard throughout the country. Everything has to conform to certain EU standards, specifically relating to roll over testing. Everything has to be secured either directly to the walls of the vehicle or behind cupboard doors. This leaves the inside of the Ambulance very clean looking and very clinical. It also leaves alot of space to work in, which seems like a good idea, doesn’t it? It wasn’t until I got back to the UK and started working on my Ambulance that I realised how difficult it can be to work on a UK ambulance. Yes everything looks clean and clinical, but once a patient is on the back and a relative is sitting in the captains chair, then it becomes difficult to get into the cupboard, difficult to reach the sharps bin and difficult to gain access to alot of the equipment. The SFFD Ambulance may look a little behind the times, but I became quite jealous of Justin sitting on the bench seat opposite the patient and just being able to get whatever he needed with the minimal amount of fuss. Again, I think this is one of those cases where the best thing would be to find some ‘happy compromise’. There are some things on my ambulance that I am sure would go down well in the states though, like a tail lift, to save the inevitable chronic back injuries from lifting the stretcher in and out of the vehicle. Also the ability to have access to both sides of the patient can be very handy in certain cases. Having a hydraulic stretcher is also a great help at times, although I do love the ability of the stretchers that SFFD use to convert from a stretcher to a wheel chair. The first time I saw Jim do that little trick was definitely a ‘wow’ moment. All in all, it really was like going back in time 7 or 8 years. Our Ambulances have moved on many times since we had that style of vehicle, and they continue to be revised and altered every couple of years based on staff views and opinions. They are not perfect by a long way, but I can definitely see the benefit is the layout of the SFFD Ambulances too. Maybe if we didn’t have to comply with EU legislation all the time, we could really have an ambulance that is fit for the job and makes our working life as easy as possible. Like I said, let’s find a happy compromise. Through my brief foray into blogging (nearly a year!) and my recent trip to the U.S, I have come to realise one thing above all others – EMS professionals around the world are basically the same type of people with the same concerns, aspirations and hopes for their profession. The Paramedics and EMT’s working for the SFFD have gone through a very tough time over the last 10-20 years and it seems that it is going to continue for some time to come. Again, the similarities are striking, between our two countries. First came the SFFD merger with the Ambulance service. Justin told me about the time that the Paramedics first arrived in the Fire Houses and had to take the ‘seat’ of one of the members of the Engine crew, resulting in that person being moved to a different station. Can you imagine how that felt to be the paramedic responsible for moving someone out of a long standing team? It took some strong personalities and some excellent diplomacy from the staff on the road to make it work, and from what I saw, the Paramedics are now seen as part of the team in the Engine house as well as on the Ambulance. We don’t have that worry yet in the UK, but it is always something that is mentioned in circles relating to cost efficiency and future plans. I can honestly never imagine it happening, and I sincerely hope it doesn’t. My Service finds it hard enough to have a corporate image and a sense of identity already, and I would hate to see us swallowed up by the Fire Service. Then there is the constant change to the skill sets of the staff working on the ambulances. Whilst I was there I was speaking to a Paramedic fire fighter who had just been promoted and due to the promotion, was not allowed to keep practicing as a paramedic, but instead was to be classed as an EMT instead. What’s that all about then?? I was given the opportunity to discuss this with the 2nd in charge of EMS for the SFFD over the most beautiful steak I have ever had the pleasure to eat. Alot of the reclassification of some staff had to do with the good old intubation debate along with the constant discussion over retention of skills in those staff that do not frequently get to use advanced skills. Wow, did that really happen. Could a mere paramedic team leader from across the Atlantic really influence rather a big decision on the provision of EMS in San Francisco? Who knows, maybe Chief Wong was just being polite, but I am happy enough knowing that I have planted the seed of a different outlook in his head. Chief Wong then went on to embrace the Chronicles of EMS as well as our blogs and our Facebook pages. He seems to really ‘get’ social media, and in that respect, I am Jealous of those of you in the SFFD that you have senior management who are willing to embrace this wonderful new media and means of sharing ideas and best practice. Both of our services will always change and adapt to the needs of the politicians, the management and hopefully the patients that we care for. One thing is for sure though…The change cycle will NEVER end. What I didn’t get the opportunity to see was Justin using all of his skills. In fact, when I think about it, the only advanced practical skill I saw him perform was cannulation and yes, he did hit every vein! I would have loved to have seen some of his cardiac interventions that he has access to, which is where the SFFD is quite a number of years ahead of NEAS. Adenosine for SVT, Synchronised Cardio version, Transcutaneous Pacing, were all things that I would like to have seen so that I could push for them to be trailed back in the UK. Oh, and of course CPAP! But, just like reality, it’s not every day or even every week that we get the opportunity to really intervene and affect a patient’s recovery. What I did get to see though was the routine, everyday use of the system to care for people and also the routine everyday abuse of the system by those who know the magic words to get them where they want to be for whatever reason they can think up! The frustration is palpable in the professionals who work on the ambulances in the SFFD. I am no better than they are just because I can tell someone they don’t need to go to hospital. I am no more skilled in assessment because I can refer a patient to an out of hours nursing team rather than driving them to the local hospital. My knowledge is not greater just because I can decide what is the appropriate pathway of care to set my patient moving along. I just have the back up of my service and ultimately my government, to allow me to work with my patients to ensure they receive the right care at the right time and in the right place. All of the Ambulance staff that I had the pleasure to work alongside all think the same things as I do and all would probably come to the same diagnostic and treatment decisions as I do, but they have to worry about getting sued each and every day. The men and women of the EMS system of San Francisco have their arms tied so tight they may as well be in a straight jacket. It is not any one person’s fault that it is like this. It is years of expectations, years of litigation and a system that does not have the support from above to change for the better. All I spoke to whilst there said that the Health Care Reform Act would not have any significant effect in the way that they do their jobs. Most were pretty sure that it won’t get through the next stage either, but all want to see some change to allow them to do the jobs that they want to do. I only had the two shifts on the Ambulance, but it was enough to get a feel for what they do and how our jobs are different. My next challenge was to move onto the Engine and experience what it is like to be a paramedic and a Firefighter at the same time. It should be interesting and I was really looking forward to being part of a larger ‘family’ for the next few days. « Could this be our first accolade? wow -fascinationg read, being a Brit but leaving here in USA…. I think I'm getting the last third of this tattooed on my arm. You see, a paramedic has to die after being hit in the head by an unsecured LP12 during a rollover accident for their family to sue the company and EMS board so that they will be forced to adopt new policies and procedures to ensure that ambulances are designed to be more safe. This seems to be the only way that things get done in the US. Mark, (Justin too) I do wonder about one thing that I face here in my neck of the woods; the career versus volunteer debate that is currently plagueing our system. I know you guys have St. Johns over there and from what I gather they are a volunteer service. What is your experience with that organization and how do they interact with the career services, ie. do they first respond ect.? Is there the same standard of care provided with the same oversight? Must be some big guns!!! Great post Mark. I admit I have some catching up to do on your previous posts but I am doing as best I can.Thanks for the retrospect!!!! Interesting observations, Mark. A few thougths.I'm glad we don't have to tailor our ambulance design to bureaucrats in other countries. Looking at your ambulance, it looks like the inside of a (very small) doctor's exam room. We have ambulance configured for access to the patient from either side, we don't like them. I'm still aghast that you don't have Adenosine (we've had it for 20 years), Pacing (20+ years), or cardioversion (30 years). Maybe it's just because my state and system have strong protections against individual medics being sued, but it's not something I worry about. Finally, keep in mind that there are something like 50 different models of EMS delivery in the US and Canada. If you came to my service, you'd see a lot of differences between us and SFFD. If you went to Chris Kaiser's, you'd see another set of differences. Despite that, the ultimate goal and the dedication of EMS providers everywhere are pretty much the same. It was good for you to see one side of American EMS–that of the Fire Department. But there are thousands of us who work full-time as paramedics and EMTs through the for-profit, private ambulance services. Many of those services are on a par with the FD-based EMS, but others are viewed only as taxis with stretchers, where only those who cannot make it on a FD may work, i.e. the screw-ups [This was actually said to my face!]. Worse still, it is the attitude of those EMTs and paramedics working for said private services who perpetuate such misconceptions! The reality is the private service is often the starting point for many newly certified EMTs and paramedics, the place where they may learn to apply and perfect the newly-earned skills and knowledge for the very first time. I'm lucky: over 29 years in EMS, most of it with the private services, and as a result I have had the honor and pleasure of working with some of the best in the business.Cheers! [Un]Fortunately for me, my LP12 did not hit me in the head…just a finger, bruising it badly…actually thought at the time I'd broken it! Those things are heavy! That maybe so, but I can guarantee that is why things have changed over here too though!Its always going to be cheaper to change things to make them 'safer' than to pay out when things go wrong. Hi There Gate Keeper.St John Ambulance is very much a volunteer agency in the UK. Most of the time you see them they are providing 'first aid' cover in events and concerts etc, but more recently they have been working alongside us attending 999 calls as we continue to struggle with meeting the increase in demand.They have their own governance arrangements and they have different treatment protocols and guidelines, but not to the levels that we work too. I guess they work to an EMT intermediate level.What is often forgotten by road crews though is that many of the St John staff who respond to 999 calls are actually nurses and some doctors, so they are very much more than just first aiders. Great point Dina, I know that I have only seen a fraction of how care is delivered in the American EMS system. As for the opinion of the private agencies and volunteer agencies by those in the SFFD? I can honestly say that I only saw respect for those agencies that respond alongside the FD Medics.There was more than one occasion when a private ambulance company responded to transport the patient after we arrived as a first response on an Engine. The handover and conversations were just the same to those chaps as the FD Ambulances.There was also many times when we stood and chatted as a group outside of a hospital with many different medics from various agencies.Maybe I was just lucky with who was there? I am not so gullable to imagine that the views you have heard are not present in some members of the SFFD, but I can honestly say that I never heard any.And I spoke to many who stated in other agencies before gaining employment in the SFFD, Justin included!